Models with "H" in the name are available with cut height up to 3.6", perfect for Tall Fescue Lawns. Please specify "high cut" when you order. Control your Automower 450X from anywhere with built-in smart phone capabilities. It's a remote control that enables you to start, stop, or park it even when you're away from home. Would you like to check and adjust the settings when away? Can do, via your smartphone. There are also settings that will allow you to receive notifications and track your mower’s position in case of theft. Control: Receive status messages and send Start, Stop, and Park commands to the mower from anywhere in the world. Configure: This app brings the mower’s menu system to your smartphone, allowing you to read and change the mower settings without the need of being on site. Security: In case of theft, you'll receive an alert notification and you can track your mower’s location through this app. Would you like to finance your new robot? Where can I see an Automower demonstration? 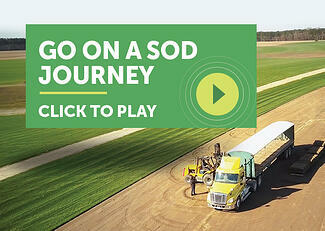 We offer Automower® demonstrations at all Super-Sod stores. Just come by during our regular business hours to see a live demonstration and have your questions answered. Can’t wait? 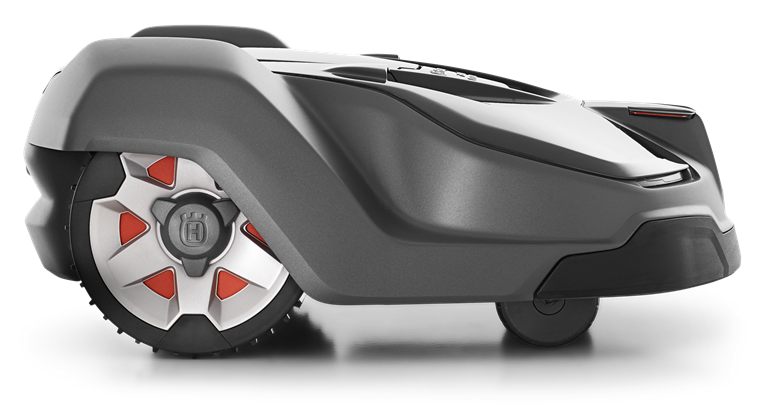 You can also see videos on Husqvarna’s YouTube channel and see real-world examples of customer’s lawns by searching the #AutomowerFirst tag on Instagram. Does Super-Sod install Automower cables? Yes, we offer in-house installation services. Because of the complexity of installing a system, we strongly recommend our installation. The price of installation varies according to the property size and complexity of landscape. Materials are included in the price of installation. Please call 888-360-1125 to schedule an estimate. What happens if there is an issue with installation? We will take care of any problems that arise with Super-Sod installation at no cost to you. We test every installation before completing the project to ensure your Automower works correctly. Can I install my own Automower system? You may install your own system. However, DIY customers must purchase an Installation Kit or source your own materials. 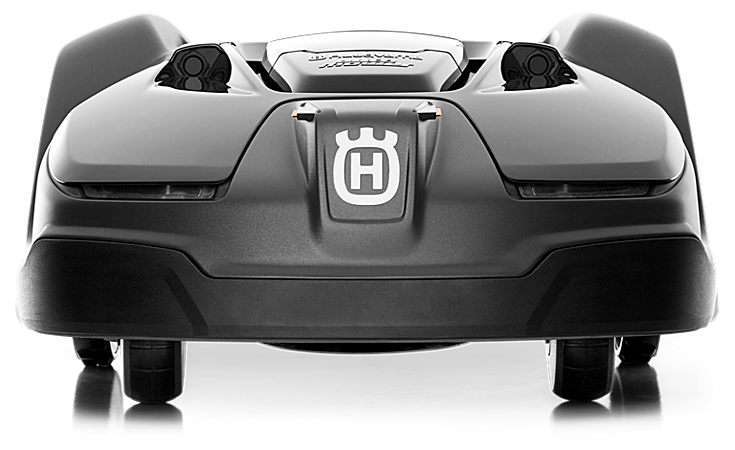 What Husqvarna Automower products are available in Super-Sod stores? 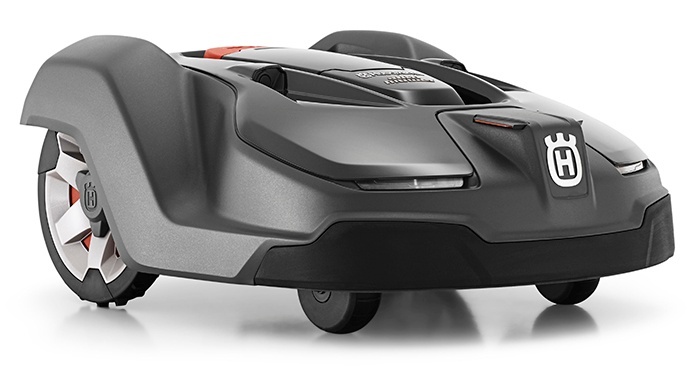 Super-Sod stores with robotic lawn mowers carry Automower 430X bundled with the Connect Module. Automower 450X is available at select locations. Can I purchase Automower 430X without the Connect Module? You can purchase 430X without the Connect Module. However, the cost to install the Connect Module after initial purchase will be approximately $100 more than purchasing it pre-installed. Does Super-Sod offer Automower repair and maintenance? Yes, we have Automower repair experts at each store. If your Automower needs repair or maintenance, please call ahead to make an appointment to ensure our expert is available. How often do I sharpen Automower blades? You never sharpen the blades. Automower uses a unique pivoting blade that should be replaced every 30 to 90 days. Blade replacement rate depends on grass growth and the size of your lawn. What if I don't like my Automower? Husqvarna’s Crown Commitment program allows you to use the mower for a full 60 days risk free! If you are not satisfied, bring Automower back to the Super-Sod outlet from which you purchased it for a full refund. Refund does not apply to installation fees. Does Super-Sod bury the cables? If possible, we do bury the boundary cables. We use a machine specially designed for burying robotic lawn mower cables. Does Super-Sod offer financing for Automower? We don't offer financing ourselves, but we're set up with a third party. Click here to get pre-approved. Does Automower have to be serviced? Yes, we recommend regular maintenance including blade replacement and cleaning. Annual maintenance includes winter storage and cleaning. Click for answers to some of your most common questions. Receive your mower’s current status on your iOS or Android smartphone, allowing you to control, adjust and monitor your Automower® with ease.